Xiaomi Aqara light switches - no neutral required? There’s a battery powered and a mains powered option. The reason for posting here is because I believe the wired version might be of interest to us here in the UK. It looks like it requires no neutral. So if anyone has looked at these, intends to, or has any comments let us know! Xiaomi Aqara Switch Great Deal no DH? Yes. You are right, it doesn’t require neutral and is stateful. This is a push button switch and would be awesome if it has a on/off light indicator on the physical switch. I have it integrated with ST via home-assistant.io (MQTT) / Xiaomi Gateway. So it’s not paired directly with ST? No. It isn’t. I haven’t tried pairing directly and I believe it requires a custom DTH to work. Does it fit a standard UK back box? I need to get my hands on one and have a look. The images here certainly indicate it would fit a standard back box. @hongtat when you say push button, those that mean its like a door bell ie the button goes in and straight back out? @PailOckenden there seems to be two types of backs to these. One claims to be a european back but round, which may suit all countries outside the british isles. Yes. It’s like a door bell type switch. Has anybody tried these wall switches yet? @PBrain, no one has mentioned that they have tried them in ST and AFAIK there is no public available DH. They have been used with Home Assistant and the User was happy with these switches. I got mine yesterday. But the problem is I have a round hole and the Aqara is square. I hoped that it would fit either way but it did’nt, Kept it hanging out and plugged it in, ST dont recognize it as a thing. Did’nt waste to much time on it, so dont know if it works with a device handler or not. @Niclas_Walter, there are two versions the round one and the square one, perhaps they just sent you the wrong one.!!! 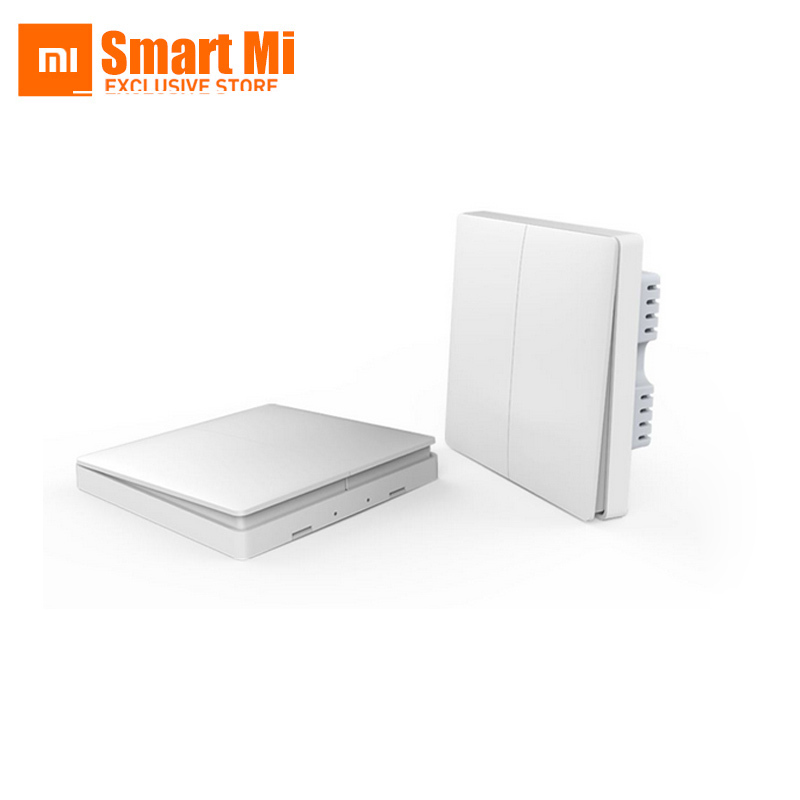 @aronteh in this thread Xiaomi Aqara Zigbee Switch DTH--help needed is attempting to build a DTH for the switch, but is looking for assistance. I received one QBKG04LM switch from AliExpress, it will not pair with the hub and does not show up as a thing. However the hub is seeing the switch and capturing on/off events in the IDE live log when the switch is pressed. For some reason the Hub IDE log reports the events back against “Smart Connect TV”. I have tried several device handlers with no success, heres what the log is seeing. Just wondering - how have you tried different device handlers if it won’t pair as a Thing? There’s probably a reset method for it, have you tried switching it on and off 5 times? Have you taken a look at this, now you have the CatchAll? You should be able to add it manually through the IDE. I did that with my first Xiaomi buttons, worked a treat, And still connected.